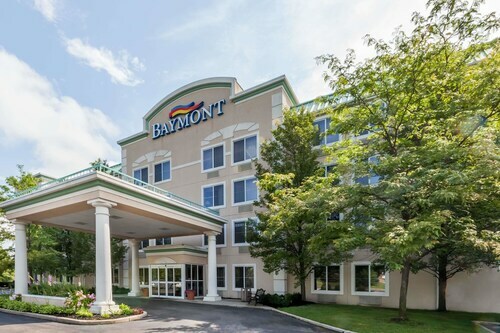 Located in Heartside, this spa hotel is within a 10-minute walk of DeVos Performance Hall, Van Andel Arena, and Public Museum of Grand Rapids. Downtown Market is 0.9 mi (1.4 km) away. Grand Rapids Station is 17 minutes by foot. Situated near the airport, this hotel is within 3 mi (5 km) of Patterson Ice Center, Centerpointe Mall, and Watermark Country Club. Calvin College and Woodland Mall are also within 6 mi (10 km). 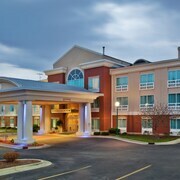 Situated in Walker, this hotel is 0.1 mi (0.2 km) from Meijer Corporate Headquarters and 3 mi (4.8 km) from DeltaPlex Arena and Conference Center. Blandford Nature Center and Walker Ice and Fitness Center are also within 6 mi (10 km). 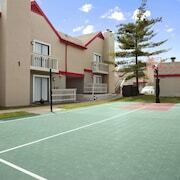 Located in Heartside, this hotel is within a 10-minute walk of Van Andel Arena and Public Museum of Grand Rapids. Downtown Market is 0.8 mi (1.2 km) away. Grand Rapids Station is 12 minutes by foot. 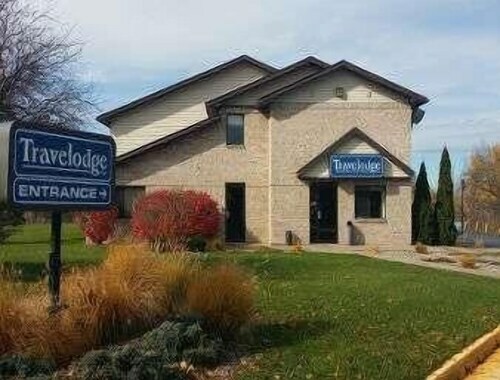 Situated in Grand Rapids, this motel is 0.4 mi (0.6 km) from Patterson Ice Center and 3 mi (4.8 km) from Calvin College. Centerpointe Mall and Woodland Mall are also within 3 mi (5 km). Situated near the airport, this motel is 0.6 mi (1 km) from Patterson Ice Center and within 3 mi (5 km) of Centerpointe Mall and Woodland Mall. Calvin College and Calvin College Ecosystem Preserve are also within 6 mi (10 km). Situated in Grand Rapids, this hotel is within 6 mi (10 km) of Downtown Market, Van Andel Arena, and Public Museum of Grand Rapids. Woodland Mall and Urban Institute for Contemporary Arts are also within 6 mi (10 km). Situated near the airport, this hotel is within 3 mi (5 km) of Patterson Ice Center, Centerpointe Mall, and Watermark Country Club. Woodland Mall is 3 mi (4.9 km) away. 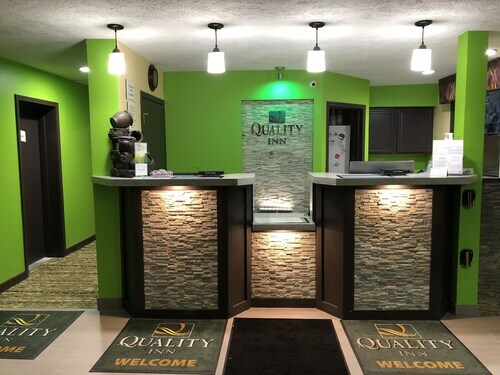 Located in Heartside, this spa hotel is within a 10-minute walk of DeVos Performance Hall, Van Andel Arena, and Public Museum of Grand Rapids. Downtown Market is 0.9 mi (1.4 km) away. Grand Rapids Station is 15 minutes by foot. Situated in Hudsonville, this hotel is within 9 mi (15 km) of RiverTown Crossings Mall, Georgetown Ice Arena, and Frog Hollow Playground. Grand Valley State University and Millennium Park are also within 12 mi (20 km). 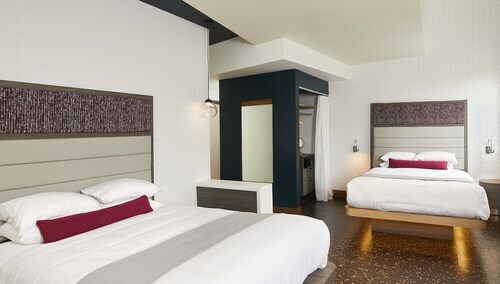 Located in Heartside, this boutique hotel is within a 5-minute walk of Grand Rapids Civic Theatre and Van Andel Arena. Public Museum of Grand Rapids and Downtown Market are also within 15 minutes. Grand Rapids Station is 16 minutes by foot. 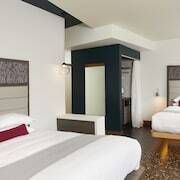 Hotels in Grand Rapids start at $47 per night. Prices and availability subject to change. Additional terms may apply. A trip to Grand Rapids is a journey to the cultural center of the Midwest. The second-largest city in Michigan is conveniently located near Lake Michigan, but you don't have to go to the lake to enjoy Grand Rapids' many art museums, fairs, and exhibits, along with its unmatched bevy of breweries to tour for cheap. 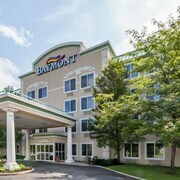 Reserve a room at one of many Grand Rapids hotels so you can experience all that this delightful city has to offer. Fans of the arts can spend days roaming Grand Rapids and soaking everything in. The Frederik Meijer Gardens and Sculpture Park integrates nature with eye-catching sculptures, and you must see the Leonardo da Vinci horse sculpture and monument and the Meyer May House in the historic Heritage Hill neighborhood. The Calvin College Ecosystem Preserve is great for nature lovers and conveniently located near hotels close to Davenport University. 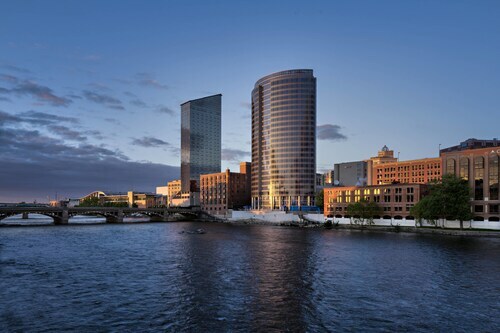 Grand Rapids is the best for museum hopping, so visit the Grand Rapids Art Museum, the Van Andel Museum Center, and the Gerald R. Ford Presidential Museum. Grand Rapids is full of zesty small live music venues, cheeky improv and fish swimming upstream. You can watch fish swim upstream at the Fish Ladder along the Grand River and all of these attractions are easily accessible from hotels in Grand Rapids. Grand Rapids is a beer lovers' mecca, and the city has been awarded the title of "Beer City, USA" on multiple occasions and there are some great breweries close to hotels near GRR Airport. For great food, there are some wonderful farm-to-table food options and if you have a hankering for red meat, there's definitely plenty of steak-house options. 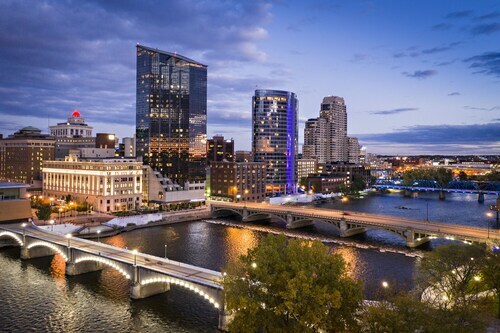 Grand Rapids is a cultural beacon in the Midwest, so use Travelocity to get the best deals on a Grand Rapids hotel for your upcoming vacation for cheap. It was very clean and good customer assistance and location was great to the highway. Nice new option close to downtown Grand Rapids. We enjoyed the breakfast. Everything was clean and in good repair. This hotel was gorgeous. As soon as you walk through the doors the staff is waiting to greet you and are incredibly helpful. The room was so cool looking and omg the bed was the best I have ever slept in. I liked that it was right next to so many things to do downtown. We will most definitely be staying here again. close to shopping and airport, but was dirty and very noisy. Would not recommend to anyone to stay here. Our room was too warm. The thermostat was not functional. It stayed at 72-73 degrees making it uncomfortable for sleeping.